QRS vs. PianoDisc - How Do They Compare? QRS Pnomation II vs. iQ Intelligent Player System by PianoDisc. This is the conundrum normally faced by piano owners who are seeking to enjoy a fantastic music experience, but who are unsure about their options. 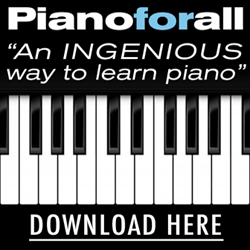 You may be wondering, "Should I buy a piano with QRS Pnomation II or iQ by PianoDisc already installed?" or, "Should I retrofit a player system on my existing piano?" What makes these two player piano systems different? Which one has more features, or can be said to be "better" than the other? In this author's opinion, the two systems are similar, as you will be able to see and hear in person, however, a major point of difference you may want to consider, first, is the way music is purchased through each system. One company does not require you to buy an entire album to purchase a single song, whereas the other one, does. Find out which company is which, below. The question remains: Which player piano system offers 'the best' player piano experience? “What are the differences between one system and the other: QRS Pnomation II or iQ by Piano Disc?" Both offer a host of comparable options and features. Both offer cutting edge technology. Below we present a side by side, apples-to-apples comparison of the two systems, as well as the merits and demerits of each, which can help assist you in making a practical buying decision. Eliminated boxes. Both QRS Pnomation II and PianoDisc iQ allow for wireless (Wi-Fi) smart phone (iPhone and Android) and tablet (iPad and Android) control, with or without an app. The system's full wireless control has eliminated the need for a traditional infrared remote and “CD box”, normally placed underneath the piano's keyboard, which has characterized traditional player piano systems for so long. Record Integration. Both systems allow real-time pianist recording and stereo system audio integration. The QRS Pnomation II allows for record integration through "PNOScan". This feature allows networked lessons, performances and recordings to be seen and heard via a TV monitor, iPad, or computer screen. The same goes for PianoDisc iQ. The two systems can record, process, and duplicate position feedback of the keys’ movements leading to improved accuracy and performance. Sound Integration - The built in MIDI sounds in QRS Pnomation II allow for performance, practice, and playback capabilities. iQ by PianoDisc features record integration through Apple devices (Apple/Mac), Android devices, MP3 players, and other music playback devices. Sound integration in PianoDisc is enhanced through its Silent Drive HD that records the piano via MIDI interface, with "1024 levels of note expression" (see link below, on Elfman). This ensures that the system delivers a beautiful, responsive, and fully expressive piano performance even at whisper-soft levels. Read composer Danny Elfman's comments about the system, which he installed on his music studio's Bosendorfer grand piano. Ease of use. PianoDisc iQ makes operating a player system easy, as you can operate it within the range of the system's Wi-Fi signal, from your piano. One simply plays, pauses, stops, and adjusts the volume as they normally would on a stereo system. In addition, the iQ works with all music playback devices via Wi-Fi, hence guaranteeing that you can use the latest computer and/or music playback gear to operate your piano. The QRS Pnomation II also has a jukebox style interface which offers stealth updates, instant music purchases, and easy playlist creation, via Wi-Fi. The QRS Pnomation II piano can also be used through a Traditional Remote Control and push play, hence optionally eliminating a network, tablet, or smartphone. Instant availability of music. QRS Pnomation II stores all music on the system, which can be "unlocked" through song purchases made on the QRS website, or through the interface itself when connected to the internet. This activation feature allows all music to be available instantly when you need a song, album, or collection - with no necessity for an internet connection. The music can be customized via playlists for the perfect experience. Flexibility. Both QRS Pnomation II and PianoDisc iQ allows you to play music purchased through their company, or standard midi-files downloaded for free on the Internet. Huge music collection: QRS Pnomation systems has one the largest music library in the world with over about 45,000 titles https://www.qrsmusic.com/music.asp in over 3,000 CD selections in every genre. PianoDisc also has an extensive library with titles in every music category, hence thousands of songs to choose from. iQ can play the piano through DVD players. A main feature of PianoDisc iQ is being able to watch a pianist play the piano live in concert via video, integrated with your piano. DVDs deliver standard, high definition (HD), and/or Blu-ray video and live piano performances. With piano videos you can enjoy original performances made by jazz, pop and new age artists, classical virtuosos, instrumental groups and vocalists. With brilliant screen images and live piano performances, iQ gives you a private concert in the comfort of your home. QRS Pianomation II offers the same. One other feature that's QRS and PianoDisc feature is the ability to stream songs and videos via YouTube, directly to your computer, phone, or tablet, for free. QRS Pnomation II has a number of features that are categorized into a (1) playback bundle, (2) playback and record bundle, and the (3) playback, record, and practice bundle. The final category - the (3) playback, record, and practice bundle has a Key Stop Rail for practicing in silence. Headphones and practice in silence capabilities are the most preferred in this category (for late night practicing, to not wake the neighbors). PianoDisc’s Silent Drive system offers 1024 levels of expression and uses flash memory to store music. Besides the basic system that plays the piano's keys, everything else comes as an optional add-on component. The accessories offered include a tone generator, a TFT record strip installed under the keyboard for MIDI recording/output as well as silent operation with headphones, wireless controlled CD, AirTurn automatic page turner, powered speakers, and Piano Sync which allows for playback of the piano with hit CDs. QRS's PNOmation II complements the life of the piano. The components are built to tolerances and with materials that suit various climates and conditions while being played for long periods of time. QRS's PNOmation offers a migration path to the latest technology. QRS uses fully encased solenoids with Teflon impregnated solenoid plungers to deliver stable and accurate control over the range of motion. They are self-lubricating and resist corrosion. A lost motion cap on the bottom ensures proper throw that guarantees the necessary dynamism. A longer plunger and solenoid delivers more accuracy and the necessary dynamism to support this feature. QRS supports both the new standard HD MIDI and the old MIDI. PianoDisc uses flash memory to store music. Besides the basic system that plays the piano keys, everything else is sold as an add-on, optional component. Electronic components of the iQ Silent Drive are hidden inside the piano and they control all aspects of playing. You can download PianoDisc music from iTunes and play it via your laptop or desktop. Volume control and music selection is done directly via the iTunes user interface. Both systems allow upgrades in their software and hardware components. Both can be said to provide the confidence and support to move forward with an upgrade, as the rest of the system remains intact. QRS produces a PNOSCAN MIDI Record strip (similar to PianoDisc's ProScan and ProRecord Quiet Time) a tone generator, and the capability to play MIDI files from CDs and MP3 players. The music is grouped into a series made up of the performance series, tribute series, concert series, nostalgic series, Sync Along series and DVDs. QRS uses an embedded web app system, easy navigation and control using a simple touch screen user interface. With iQ, you can download music from PianoDisc’s music store, organize and store it, then play it on your piano. Grammy winners, Top 10 chart artists, winners of international piano competitions, Piano Sync and the most popular CDs of superstars from the music scene are all available for play. Both the QRS Pnomation II and PianoDisc iQ systems are retrofit that are designed to be installed in any piano. Their capabilities and technologies allow them to be readily installed. Both can be operated either through a compact disc brain unit or a wireless unit such as the iPod touch or iPad. They both come with a variety of options including: aux. speaker hook ups, volume controls, & background orchestration. They are capable of a vast level of dynamic ranges, from a deafening roar to the quietest whisper. Both the player piano entertainment systems are based on solenoids and plungers that are computer-activated, which move the piano's keys. The plungers and solenoids act to ensure there is proper sound integration, and feedback can be deduced from the piano's action. Both provide for compatibility. A player piano system should complement the life of the piano. Both the QRS Pnomation II and iQ by PianoDisc provide for forward and backward compatibility by ensuring that the user’s piano’s player technology remains relevant in line with the emerging technologies. Both systems provide essential software (and hardware) updates to ensure that the user’s piano is suited to emerging needs. These updates serve to assure the purchasers that once they acquire a piano system, they would not need to acquire another one again upon emergence of new changes, but will only need to update their current system to suit the new changes. In the QRS Pnomation II tracks can be balanced from the user controls, a very important component especially when there is background or vocals. Piano and audio tracks can be individually balanced, separated, and optimized, to fully maximize your playback experience for the best equalizing effect. The QRS Pnomation II engine requires only a front-end change (subtraction) to upgrade. Other differences relate to how music is ordered. PianoDisc iQ has more artist series performances and accompanying music, different from QRS, for their popular titles. How are songs purchased through each system? PianoDisc: Most music must be purchased as an entire album, hence, mostly whole albums are downloaded at once. QRS: Users may purchase individual songs ("singles"), as opposed to an entire album. Customers can also download an entire customized playlist of songs, with a single click. The player piano as a single instrument has revolutionized the manner and form in which music is played. Due to its effectiveness in improving pianists' and piano owners' music experience, the popularity that has accompanied its invention, has advanced its technology, design, and use. QRS PNOmation II and PianoDisc iQ are two of the systems that have gained popularity in their usage. Individuals seeking to purchase a piano system for the first time as well as those seeking to upgrade their existing piano systems, should gain a clear understanding of the basic features, benefits, and capabilities of each, to align one's decision to their requirements. The capabilities, system requirements, operating technologies, music selections, music capacity, and ease of use and control are all important factors worth your consideration of QRS Pnomation II and PianoDisc iQ.